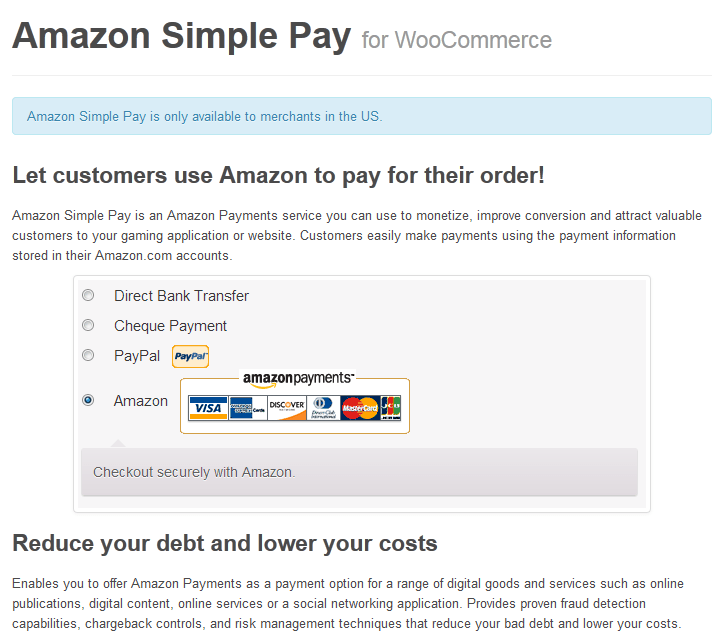 Amazon Simple Pay: adds Amazon Payments to your WooCommerce store. Use it for digital content, goods, and services. It has fraud detection services too. 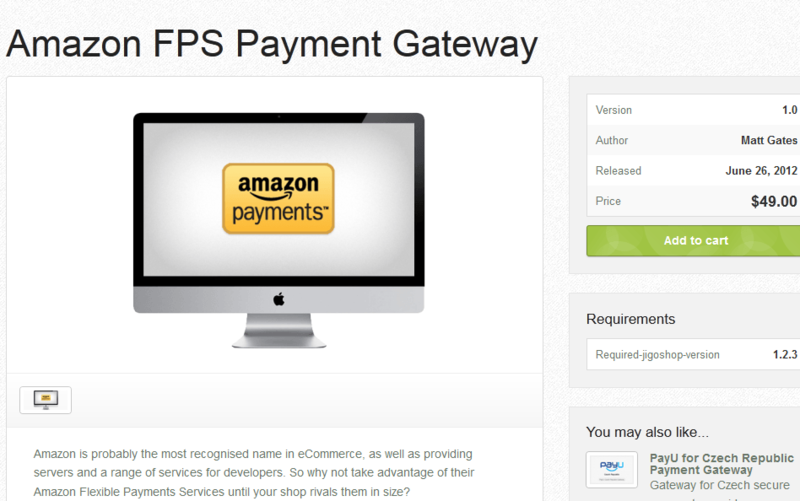 Amazon FPS Payment Gateway for Jigoshop: adds Amazon Flexible Payment services to your website. You can still accept payments using credit cards. But your customers will be able to use their Amazon balance to pay for your products. 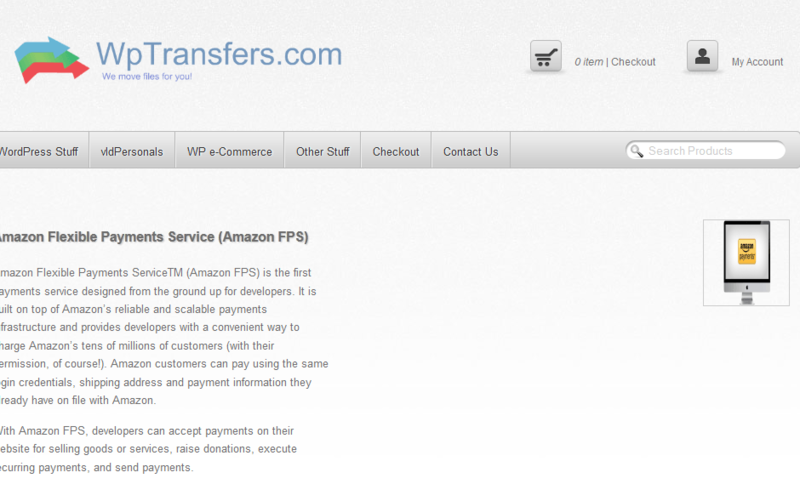 Amazon Flexible Payments Service for WP e-Commerce: use this plugin to sell goods, raise donations, and handle recurring payments on your WP e-Commerce powered website. The only downside is the fact that it is not cheap. I do encourage you to go through the Amazon Payments documentation to figure out how to take advantage of this amazing service. You don’t have to use the above plugins to integrate Amazon Payments into your e-commerce site but they do make the process easier.